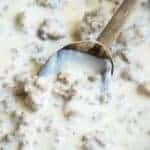 Sausage Gravy! 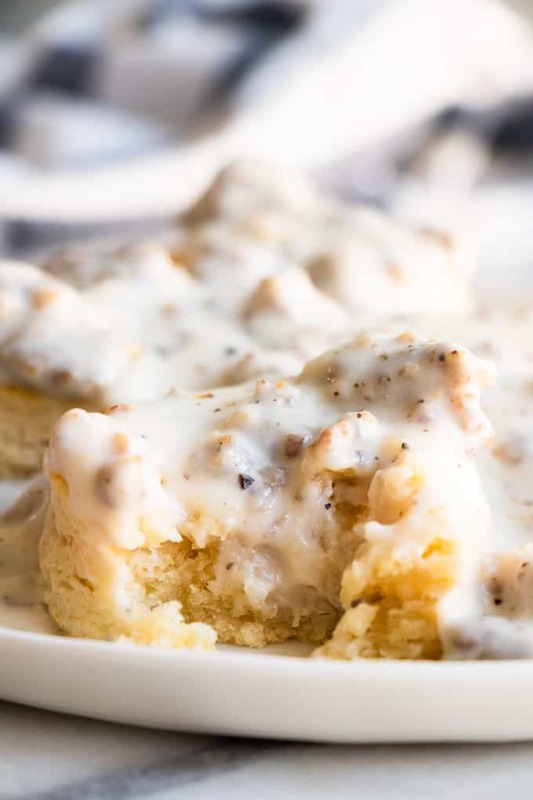 This sausage gravy, also known as sawmill gravy, is beyond easy to make! 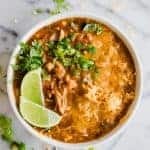 Needing less than a handful of ingredients, this hearty, comforting recipe comes together in just minutes. 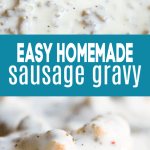 Possibly, the best sausage gravy recipe you will find! This dish is simple, but a few things make this gravy recipe one of my all time favorites. 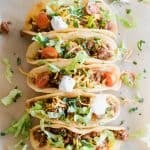 Using a flavorful sausage as the base for this recipe will give you the best flavor. I personally love just a classic Regular or Mild Pork Sausage. 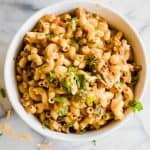 That paired with a hearty dose of coarse ground black pepper to season makes this recipe a winner! With less than a handful of ingredients in this recipe, we want to make sure that we are getting the best flavor out of what we have. Brown the pork sausage in a large skillet. Make sure you keep any grease in the skillet, don’t drain it out. We will use this to add flavor to the gravy. Add flour to the sausage. Stir this around until you can’t see the flour. Then allow this mixture to cook for about 3-4 minutes. We need to ensure that the flour is cooked and no longer raw, which would give a flour taste to the finished gravy recipe. Add the milk (you can use whichever milk you prefer) and stir. Add in the seasonings. You can always start with less salt and pepper and add more at the end when you’re tasting the finished gravy. Allow the gravy to simmer. As the gravy simmers it will thicken. If you feel the gravy is too thick for your liking, you can add more milk to thin it out. I find that as long as the gravy is used fresh it’s perfect. But as it sits it will thicken slightly. Stirring in some warm milk fixes that. 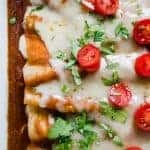 If you want to be ready to go first thing in the morning with breakfast, you can absolutely make this gravy recipe ahead of time. Just prepare the recipe as directed, allow the gravy to cool to room temperature and then transfer to a sealed container. Store in the refrigerator. Then in the morning you can transfer the gravy back to the skillet, and reheat it. If the gravy seems a bit thicker after sitting, just add a bit more milk to it. 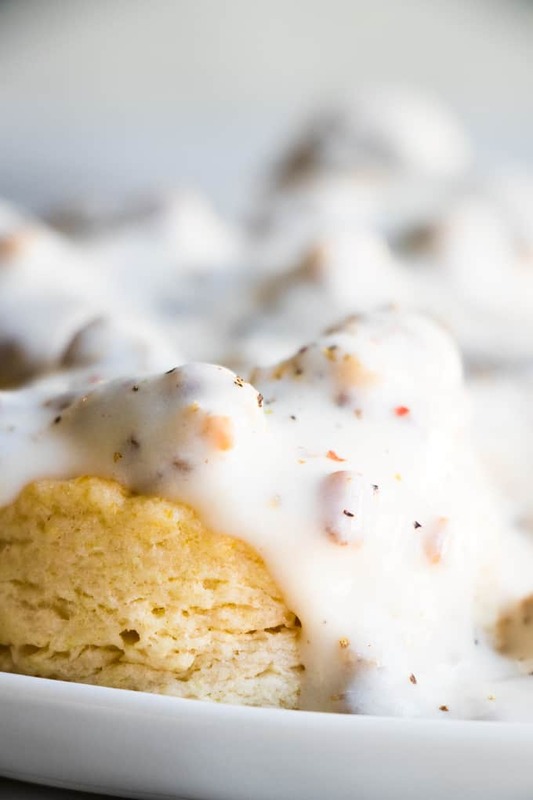 How long can I store Sausage Gravy in the refrigerator? 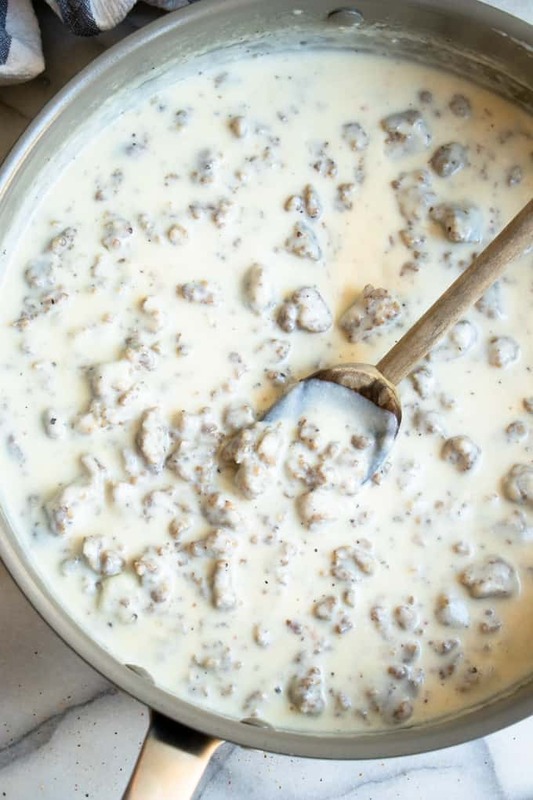 This sausage gravy will store in the refrigerator for about 3-4 days. You can also freeze the gravy in an airtight container, or freezer bags, and store in the freezer for 1-2 months. Of course the first thing that comes to mind is these amazing Homemade Southern Biscuits. Other dishes that you might enjoy this gravy over is some toast, grits, breakfast potatoes, or even mashed potatoes. 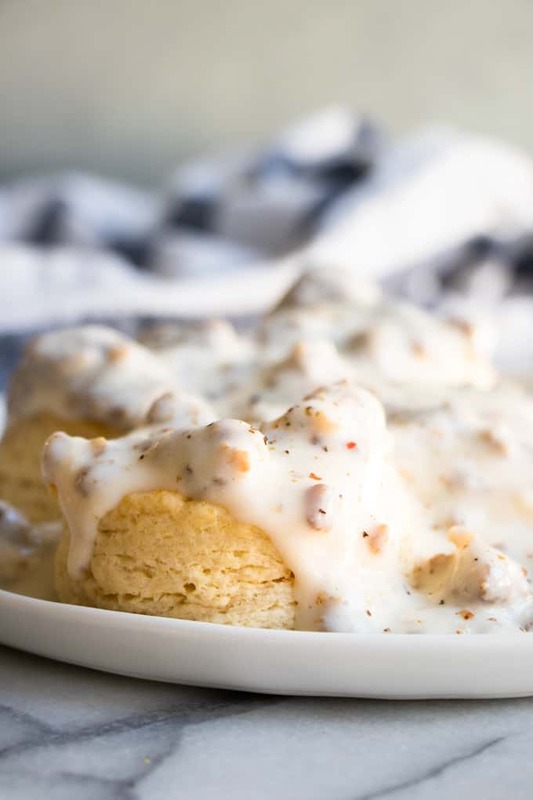 WANT TO TRY THIS SAUSAGE GRAVY RECIPE? Brown the pork sausage in a large skillet. Make sure you keep any grease in the skillet, don’t drain it out. Add flour to the sausage. Stir this around until you can’t see the flour. Then allow this mixture to cook for about 3-4 minutes. Add the milk. Stir. Add in the seasonings. You can always start with less salt and pepper and add more at the end when you’re tasting the finished gravy. Allow the gravy to simmer. As the gravy simmers it will thicken. Simmer for about 7-8 minutes or until gravy is nice and thick. If gravy is too thick, you can add some extra milk to help thin it out.